Pink Assortment blushes with sweet blossoming beauty to convey your most heartfelt sentiments. 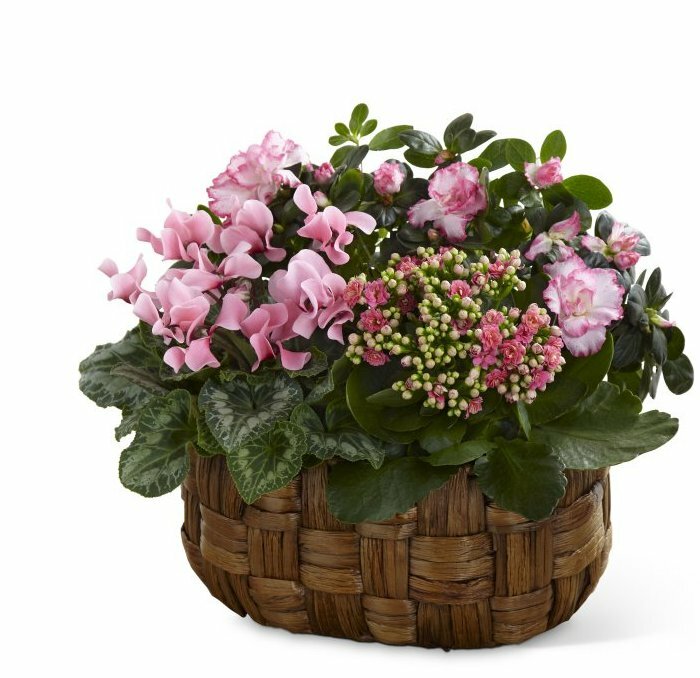 A pink cyclamen plant, pink azalea plant and a pink calandiva plant are brought together in an oval woven banana leaf container to create a wonderful way to send your love, celebrate their birthday or anniversary or just to let them know you were thinking of them. Approx. 12H x 17W.